Perses, the Greek Titan, god of destruction. 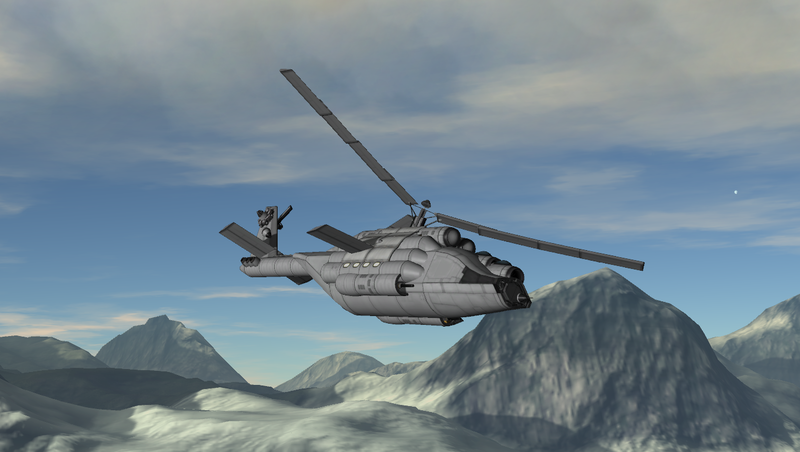 This helicopter might resemble something you know from real life but it’s not intended as a replica. I do have a replica of the Hind but that one uses mods. Use the manual of the other Titans (Azi20 - Azi23) to fly this thing. The engine is a little less powerful and thus has only three power/economy settings (action group 0 is missing).